A computer-generated image of the two buildings proposed to complete Wykeland Group’s @TheDock development in Hull’s Fruit Market, as viewed from Queen Street. The building on the right includes a small retail unit on the ground floor. The Hull-based regeneration company is proposing to develop two further buildings totalling 31,000 sq ft of offices, co-working and meeting space at the @TheDock development. The multi-million pounds investment is aimed at reinforcing Hull’s status as a centre of digital excellence and providing the space and facilities for tech companies to continue to collaborate and grow. The highly-successful @TheDock scheme, which has the C4DI (Centre for Digital Innovation) tech hub as its centrepiece, is currently fully occupied, with many tech companies growing fast and in need of more space and others keen to benefit from the unique collaborative community. A planning application submitted to Hull City Council proposes the new buildings sited to the north and the west of C4DI, on what is now a car park. The additional space would enable C4DI to host more events and education programmes for small and medium-enterprises (SMEs) and expand its support services and incubator programme to develop tech start-ups and scale-ups. More room would also be dedicated to cutting-edge work being undertaken on key technologies such as the Internet of Things – interconnected networks of devices, vehicles and home appliances. David Donkin, Property Director of Wykeland Group, said: “@TheDock has proven to be hugely successful, transforming a derelict dry dock site into a thriving community of tech-based innovation and enterprise. It has provided a focal point for the tech sector in the city with C4DI recognised as one of the UK’s leading digital hubs. The new buildings proposed for Wykeland’s @TheDock development, looking from the C4DI tech hub across a central plaza towards Humber Street. The proposed investment is the latest by Wykeland, which has a £250m development pipeline across Yorkshire and the Humber and is delivering some of the region’s most significant schemes. Wykeland is working in a joint venture with Beal Homes to deliver the £80m regeneration of the Fruit Market, in partnership with Hull City Council. The Fruit Market transformation is creating Hull’s first urban village, bringing together business, retail, leisure, cultural and residential uses. 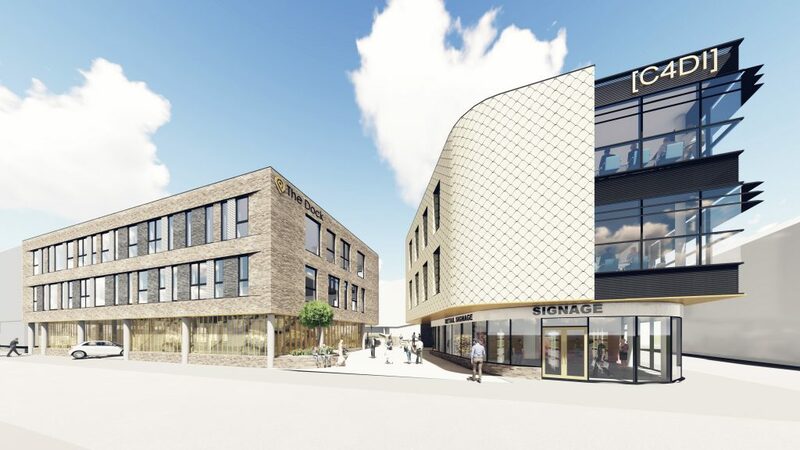 Wykeland is also working in partnership with Hambleton District Council on the £17m redevelopment of the former Northallerton Prison site in North Yorkshire. 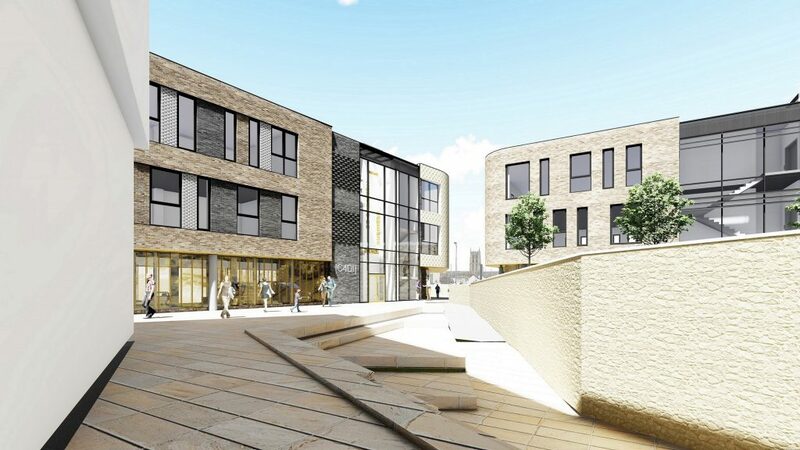 The Treadmills scheme recently gained planning consent and will include retail units, managed workspaces, restaurants, a cinema and public events area. Other flagship Wykeland schemes including the fast-growing Bridgehead business park close to the Humber Bridge; the Flemingate mixed-use regeneration scheme in Beverley, East Yorkshire; and the Meltonwest business park, west of Hull. Be the first to comment on "Plans submitted for @TheDock investment to drive tech cluster growth"